Photos Spokespersons. Photo: Thais Mallon. 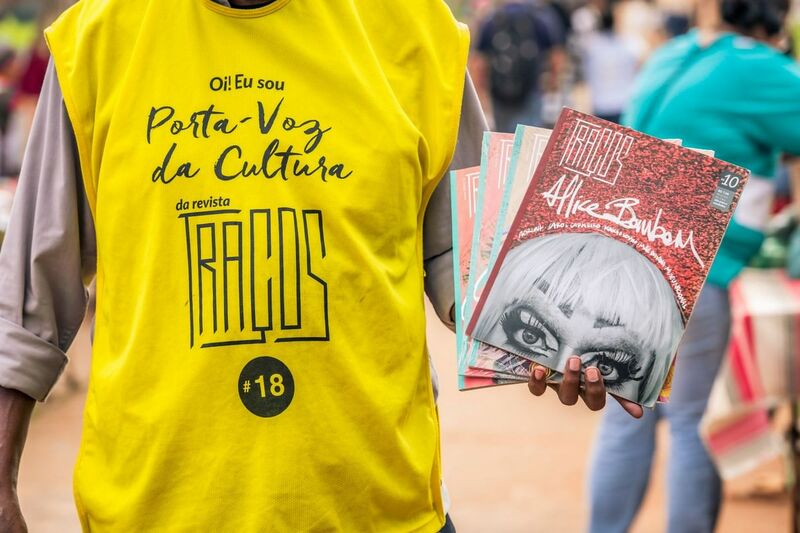 In 2019 Traces decided to be even more on the streets! From Sunday (10/2), a new series of events kicks in the city, with music, literature and all artistic expressions that are part of the trajectory 3 years of publication - only street in paper format in circulation in the Midwest. The first edition of the project will be held at the fair BSB Mix, Gilberto in Solomon (Lago Sul), from 16h. The guests of this debut are the poet Vinicius Borba, Radicals of the collective S / A and the double Telma DJ and Selma, in addition to the Spokesman of Culture Francisco Carlos, which has the life story told in session 3×4 this issue No. 31 Traits. A Sarau EnconTraços It is a literature incentive initiative to gather the readers of Traces with artists published in more than 2400 magazine pages. To Raoni Dolabella, which is part of the general coordination of the contract, the idea is to deconstruct the traditional format of soirees. "We want to take to the streets a modern event, with DJs, rappers and street performers. A space for spontaneous demonstrations of the public ", point. Weekly, the itinerant character design holds meetings curated by Alexandra Capone. The events are held to promote the Support Fund for Culture of the Federal District (FAC-DF), and the entry is always free. VINICIUS BORBA Poet is the collective Radicals A / S, São Sebastião (DF), and founder of Corner House of Culture of the Beija-Flor. It operates in the production of soirees, reading groups and workshops for about 15 years, in several cities in DF. After years working as a poet in peripheral soirees, publishing fanzines in the capital and realizing the Radical Sarau, which had more than 300 issues and brought poetry to communities in Mexico City and Brazil, Vinicius launched in 2015 his first book, the “Out of order”, with launch events in more than six Brazilian states. It sold about 2000 books independently. Followed career as a journalist inspired by his literary experiences. Isabella Rust and Rust are Rafaella TELMA and SELMA! captive figures in the coolest parties of Brasilia, the twins know well blended styles like rock and pop, making a sonic journey that mixes several decades upon and refined search. The sets have no limits, but it has a lot of fun. Traces magazine – Only street of publication of the Midwest and one of the most important on the culture of Brasilia, Traces proposes the implementation, no Federal District, social technology of street papers, which has the social responsibility action character already consolidated, since since the late 1980 contributes to economic and social reintegration of people on the streets, is present today in more than 40 countries. The magazine is a vehicle cross communication, whose editorial axis promotion of cultural production taking place in the Federal District, subsidizing discussions on the construction of the city's identity. In this sense, the proposal extends the visibility of the cultural production of different cultural segments, posing as constitutor vehicle of local cultural agenda. 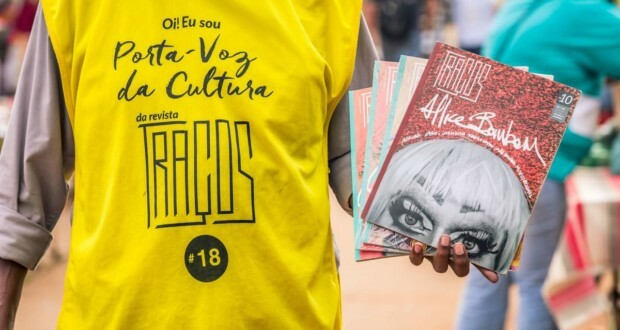 The magazine also promotes dialogue beyond the borders of Brasília, with articles and interviews that dialogue with cultural agents from around the country. Street Paper – It is a publication format, newspapers or magazines, which are sold by people on the street, in order to generate income and autonomy to this group and promote social reinclusion. It is a phenomenon that arises in the late 1980, in North America, and then spreads over other continents and countries, to get to Brazil, around 2001.
in Traces, these vendors are called Spokespersons of Culture, and from 2015 They are part of the everyday culture of Brasilia, selling the magazine at various outlets, including the main bars, restaurants and cultural spaces of the city. Each copy is sold at $ 10 R, of which R $ 7 are with the Spokesman of Culture and R $ 3 are used for the purchase of new copies.